Media: Newton 14″, 400x magnification, Photoshop Cs6. 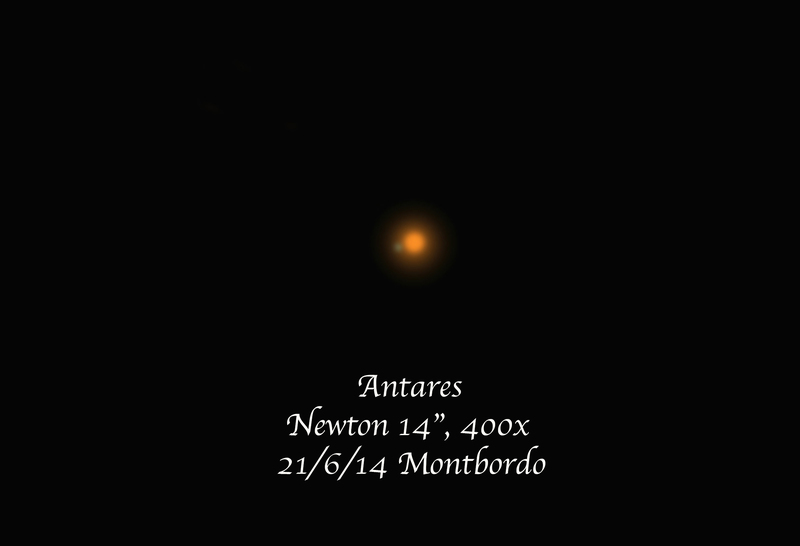 Double star Antares and his partner WDS 16294-2626, mags +1 and +5.5 separate 2.4 “and AP. 274 º today. It is very difficult to split Cs6 displayed in Photoshop (not pictured) double star. A fine capture of the pair. Very realistic and good result.